Try to be more mindful as you go about your day. Give everything you do your full and dedicated attention. Process each thing that you engage in. Remain mindful as you complete your daily tasks. Make sure you are completely present in the moment, regardless of what we are doing. Eating is one of the everyday tasks where mindfulness can make a huge difference. Eating is a necessity, and while we all enjoy our food, we don’t always take the time to appreciate it. We sit down in front of the TV with our dinner or chat about what happened during our day. Are you paying attention to your meal? Are you tasting and chewing everything? Or, are you just shoveling everything into your mouth as quickly as you can? With mindful eating, you approach each meal as an experience. While sitting silently, your food is your main focus throughout the course of the meal. Create a deeper connecting with the meal and the food you are eating. Create an association between your body and the food. 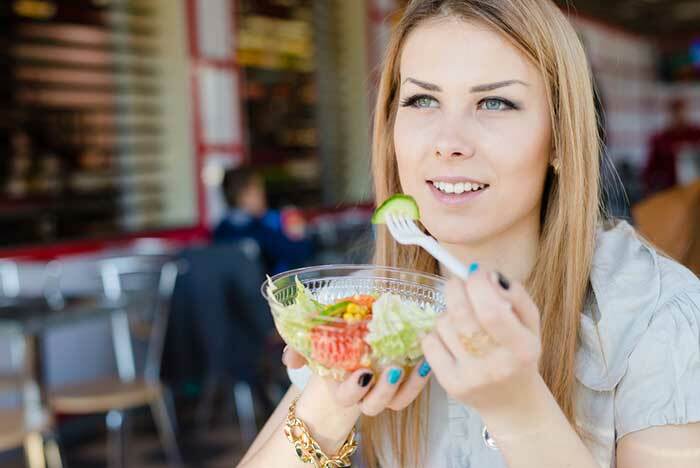 Mindful eating is about creating a healthier attitude toward food. It enables you to approach food as a necessity for survival rather than a source of comfort. The connection created between food and your body is on nutrition, not habit. When you get in touch with your hunger signals you will eat when you need to, not when your emotions tell you to. Being mindful helps you give yourself what you really need. Chew each piece of food that you eat slowly and completely. Focus only on what you have on your plate in front of you. Explore the different textures and tastes of each morsel. Pay close attention to each detail of your food. It will help you understand your body and relationship to food. Focus on the foods you enjoy for taste and consistency. It takes a long time to shop for and prepare a meal. Create a positive relationship with the food that you cook. That positive attitude is what you are ingesting along with your food. Many people thank or bless their food before eating it. When they eat the food they are ingesting gratitude and blessings along with it. Enjoy your food and ingest appreciation and happiness. Mindful eating can also help you to lose weight. When you pay attention to eating, you focus on the flavors, textures, and smells. This focus sends signals to the brain. Your brain, if you pay attention, will tell you what is going on in your body. It will signal when you are actually full. That is when you can stop eating. When you eat slowly and mindfully, you forge a strong connection between your mind and body. You will become aware of how much you are eating, what types of food you are eating, and when it’s time to stop. When you eat in a hurry, on-the-run, or while doing other things you tend to eat more. You may eat for emotional comfort or to enjoy the taste. But, when it passes through your mouth too quickly you become deperate for another bite. 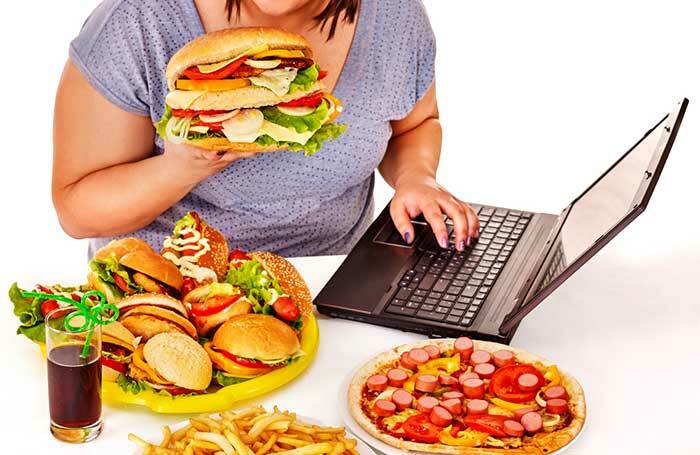 This can lead to overeating and weight gain. Eating with awareness will allow you to cut calories and drop a few pounds without the rigors of dieting. As you practice this, you will be able to maintain a healthy weight without much effort. Staying mindful while eating isn’t difficult, but it may take some practice to get the hang of it. After spending years eating in front of a TV or computer, it can seem strange to sit down and focus on your food. To get your mindful eating habits off to a positive start, here are some things you can do to keep your mind on your food. It doesn’t need to take you hours to complete a meal. Eating slowly is the first step to take if you want to be a mindful eater. Take smaller bites and don’t be so quick to swallow it almost whole. that you take, don’t be so quick to swallow it almost whole. Instead, focus on the flavors on your tongue and how it feels to chew it. Proper chewing aids in digestion helping you maximize your nutrition. It also releases bursts of flavors you would have otherwise missed. Sitting in silence is weird, especially if you’re sitting down to a table with friends or family. Perhaps, make an agreement with yourself and your family to only speak between courses. Set aside time at the begining and end of the meal for conversation. To become more comfortable with the silence, ease into it. Start each meal adding another minute of silence to the beginning of the dining session. As the minutes pass, you will feel more comfortable. It’s rude to talk with your mouth full anyway. Save the conversation for when the table is cleared. Do you live alone or often eat by yourself? Distracting yourself with electronics can be tempting. It mess alone. ell, don’t. To remove the temptation, turn off your TV, computer and phone for the short duration of your meal. If that isn’t enough, move to a room that doesn’t have the electronics in them, like the kitchen or dining room. Keep your mind focused on the food in your mouth, not on your surroundings. By eliminating distractions you’re giving your mind the ability to focus on your food. To keep your mind busy and entertained, pay attention to the flavors and textures of each morsel. Compare the tastes and textures to other things you have eaten in the past. At the end of the meal, ask others what they liked most about the different foods. We eat to live, but we should enjoy it. With mindful eating, each meal can be a true experience. When you go to an expensive restaurant you enjoy the special dishes. You don’t gobble down your meal and leave in a hurry. Make all your meals just as special. Learn which foods you like and which you aren’t such a fan of. Enjoy and differentiate the different flavors and textures that different foods have. Most importantly, slowing down and savoring each bite stops you from overeating. It will help you maintain a healthy weight without having to stick to a stringent diet.